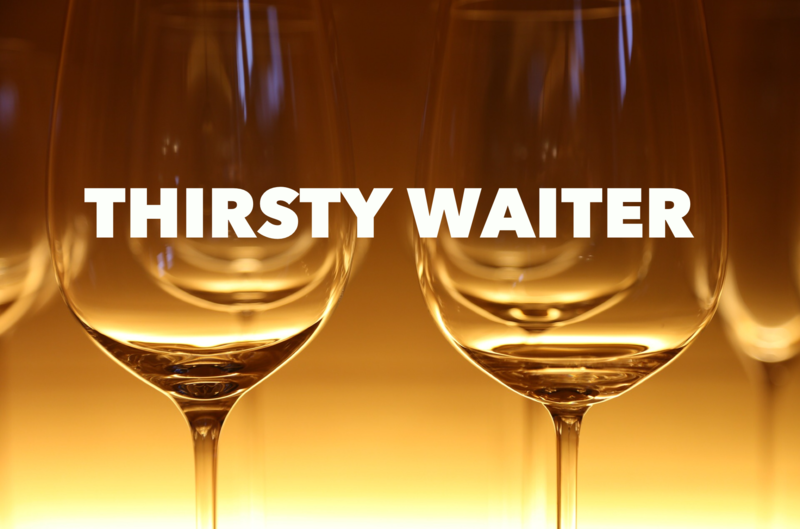 Welcome back to the Thirsty Waiter. It’s been a while since I’ve posted anything. I did start a few but some were just not worthy or deleted by accident. I have to admit I am a klutz sometimes. I want to bring up the subject of being in the hospitality business and critiquing when we do go out for an event. I am not sure if it’s a blessing or a cursing to be part of this industry. The nights we finally get off and have the opportunity to enjoy the special occasions we end up analyzing the details of the establishment . It’s hard not to. Do you blame us though? We have a Saturday off after planning for about 2 months. Having to do dark favours for colleagues with 10 Hail Mary’s and a blood sacrifice to get the night off. So excuse me for wanting the best for my night off. We don’t plan to criticize where we end up going but it gets the best of us. I am sure you know what I mean. Personally my own policy is to treat the customers as I would like to be treated if I were sitting in their place. Not everyone in the industry thinks that way I assure you. What ends up happening is I promise myself, “Ok Steve you are going in there to enjoy a nice supper” then all of a sudden you get the itch. You notice the ledges haven’t been wiped for months, the entrance has a tiny air leak that is freezing your feet, the heat is blasted so you start sweating. You wonder if they even know how to use a thermostat. The decor is really off and let’s not get started with washrooms. At times it’s hard for me not to pick up a rag and start cleaning the restaurant myself. I usually imagine myself as Cinderella giving the restaurant the attention it needs to spruce up the place. Ok so aesthetically speaking we have passed judgment. Next the service is at stake. What is the manner of the waiter and how did we get greeted. I enjoy a lively person but not over the top. A confident yet humble demeanour does the trick and not a zombie who stays super close by staring or hovering over you. Privacy please!!! So finally let’s order. The dish is ok not more than that. It looks as though it’s missing some passion and excitement. But yet the price is significant. What do you do? Do you settle or do you complain? The effort for the dish was quasi careless. I usually bite my tongue unless I am very disappointed. Usually scared for those scary chefs who take things personally and get insulted! But you can tell when a customer is not enjoying their dish when they are borderline barfing! Which means the waiter did not do their part to ensure the customer’s enjoyment. On the other hand when I end up going to a spot which is truly special, which paid attention to details and goes the extra mile. It’s a huge turn on! When I feel welcomed and enjoy a well made drink. When the meal was delicious with just the right ingredients and thought. It feels amazing! When the service is proper and attentive, you feel like crying ( not really but almost)! I only wish my customers feel that way when they leave the place where I work at. Well that’s my little rant on this. I hope you enjoyed the dish I served tonight. It felt good to write about it! For those who are oblivious to these details I envy you. It probably makes life easier and enjoyable. But once you are in the business and have eaten the forbidden apple this ignorance flies away! You become chef Ramsay and become a jerk. Yours is a tough job – lots of complaints, very few praises! I love to gets praises and yes they are few but when they come they are appreciated!